Power supply in Lingmithang in Monggar has been anything but reliable of late. The erratic supply has left everyone- from residents to health centres, offices and businesses- upset. At the regional office of the Department of Roads where the officials have been busy with the financial year closing works, the power supply disruption could not have come at a worse time. The residents, too, are complaining that the frequent power failure has thrown normal life out of gear. “Bhutan Power Corporation doesn’t care about our complaints,” said Kinley, a local resident. “They always have some excuses. It will help if an authority steps in,” he added. The Livestock office is counting losses as the erratic power cuts affect its hatchery. Uninterrupted power supply is essential for optimizing incubation and other hatchery processes. “When the power supply is interrupted, over 1,500 eggs that we set in the egg hatching machines go bad,” said Wangchuk Namgyel, the Livestock Officer. At the Basic Health Unit, Health Assistant Ugyen Tshewang is not able to store vaccines at required temperatures every time the power supply becomes unreliable. 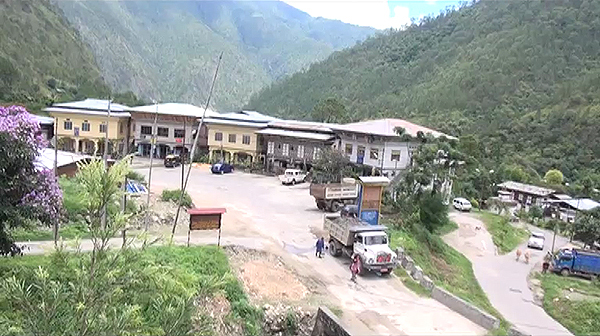 The Bhutan Power Corporation (BPC) office in Monggar said the power supply disruption was caused by the annual maintenance works such as painting of electric poles and bush clearing near power lines. The office added the works were completed last week and assured there would be no more power cuts.